No, I have no idea what this one was about, either. It's a strange feeling, going through book after book of notes, mind maps, doodles. Revisiting thoughts, ideas, projects that succeeded and grew, projects that kept cropping up as ideas which never found their feet. It's all gone. It's all in the past. This is not me. It looks like me. 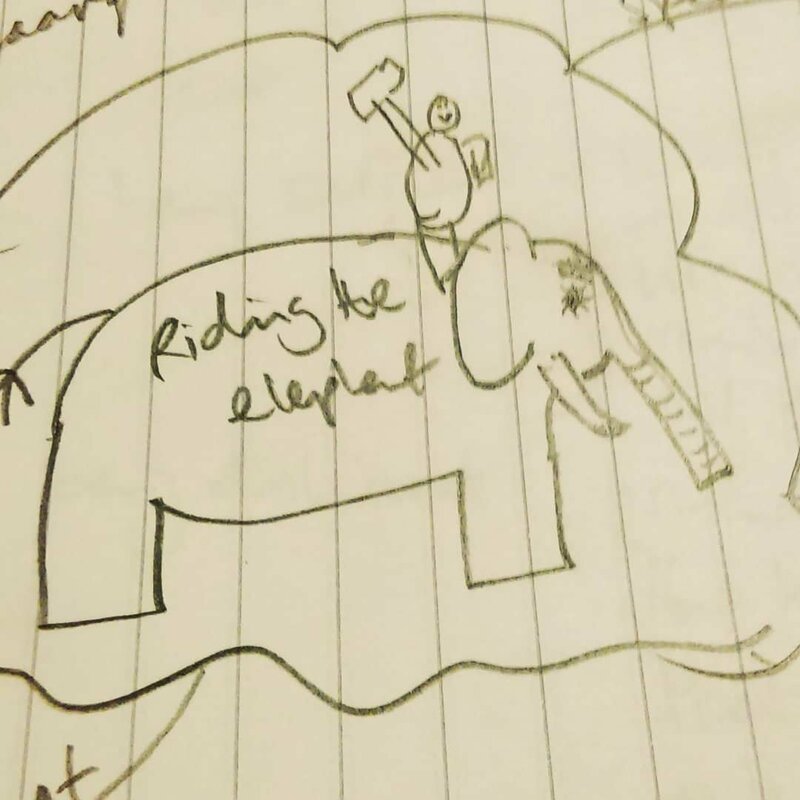 I'd recognise it as me if I bumped into it in the street, but it's time to let go of all this stuff and not even wonder about for what riding the elephant might have been a metaphor.